COMMUNITY INVITED TO A FREE CANADA150 PERFORMANCE OF THE DREAM CATCHERS — A MUSICAL THAT DARES YOU TO DREAM! Waterloo — On June 28 Wilfrid Laurier University and the City of Waterloo are hosting a free community performance of The Dream Catchers, a brand new Canadian musical. The performance at Wilfrid Laurier University is one of eight stops in Ontario during the show’s cross-Canada tour. Suited for audiences of all ages, The Dream Catchers will take you on a quest to find hope for the future and dares you to believe that no dream is too small. This high-energy, one-hour musical features The TD Confederation Centre Young Company who, through music, stories and a blend of Indigenous and contemporary dance, bring to life the ambitions, hopes and dreams of Canada’s next generation. The show’s content was inspired by young Canadians across the country. In February and March, Confederation Centre of the Arts sent a creative team across Canada to work with dozens of young people in each province and territory. Through arts workshops, they explored their dreams for the future, with a focus on the environment, inclusion and reconciliation. Youth were also invited to submit their dreams and vision for Canada online using art, written words or video. The Dream Catchers performance includes new original music, dance and stories from City Natives, Emm Gryner, Kinnie Starr, Paper Lions, Khodi Dill, Fred Penner, Nikki Payne, Carmen Braden, Tiny Emperor, Daniel Maté, Riley Simpson-Fowler, Laakkuluk Williamson Bathory, Caroline Savoie and Twin Flames. The Dream Catchers is a Canada150 Signature project funded by the Government of Canada, sponsored by TD and produced by Confederation Centre of the Arts. The show was written by Mary Francis Moore with direction by ahdri zhina mandiela, choreography by Barbara Kaneratonni Diabo, and musical direction by Scott Christian. The Waterloo performance takes place Wed., June 28 from 1 to 2 p.m. at University Stadium, 81 Seagram Dr. Local schools and the public are encouraged to attend this outdoor, all ages, bilingual showcase of diversity in Canada. Admission is free but tickets are limited and should be reserved through EventBrite at wlu.ca/calendar. Street parking is limited in the area so attendees are encouraged to carpool, use active transportation or use city transit. There are three visitor parking lots available on Laurier’s main campus with the purchase of a ticket. Please visit Laurier's parking website for more information.  Laurier is committed to accessibility for persons with disabilities. Our stadium includes accessible parking, accessible seating, drop-off areas and food outlets. If you require accessible parking, seating or other accommodations, email community@wlu.ca. We will make every attempt to accommodate all attendees.